Two weeks ago the last yearly Crumpet's Nail Tarts challenge ended. There is a new yearly challenge beginning today, 26 great nail art ideas. 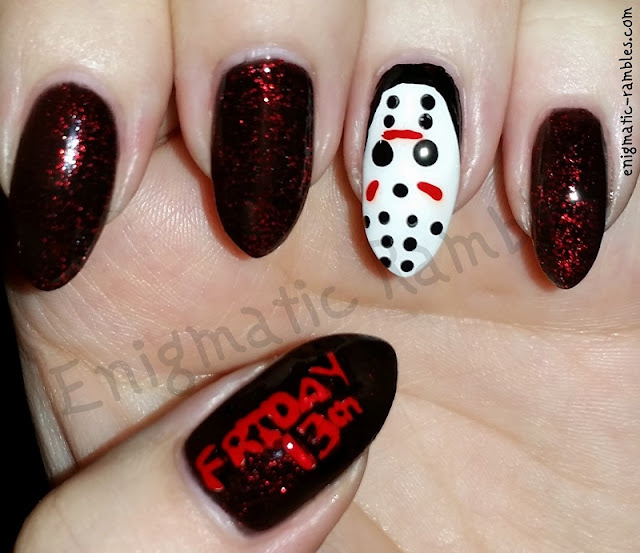 Challenge for today is "Friday 13th" and so I did Jason Voorhees mask inspired nails.